American farmers and conservationists are both poised for a big win. 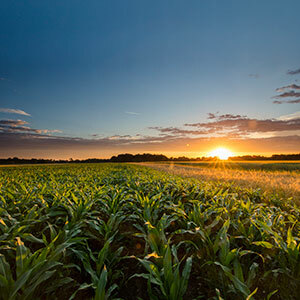 The Senate — especially Senate Agriculture Committee Chairman Pat Roberts, Ranking Member Debbie Stabenow, and Senators Amy Klobuchar, John Thune, Joni Ernst, Joe Donnelly, and Sherrod Brown — stepped up at a critical moment for farmers and the environment. Thanks to their efforts, the Senate Farm Bill will modernize conservation practices and bring the digital revolution to America’s farms through a strong bipartisan commitment to conservation, while ensuring public-private partnerships deliver real, measureable results at scale. When our leaders put American values above party politics, they deserve our thanks. Send your support to your Senator — and their staff — today! I am writing today with extreme gratitude for your efforts to protect America's farmers and environment. Due to your bipartisan efforts, the Senate bill has the potential to deliver real, measurable results at scale - a win for taxpayers, producers, and the environment. This bipartisan commitment is the type of leadership our country needs, and our communities are grateful for your efforts.